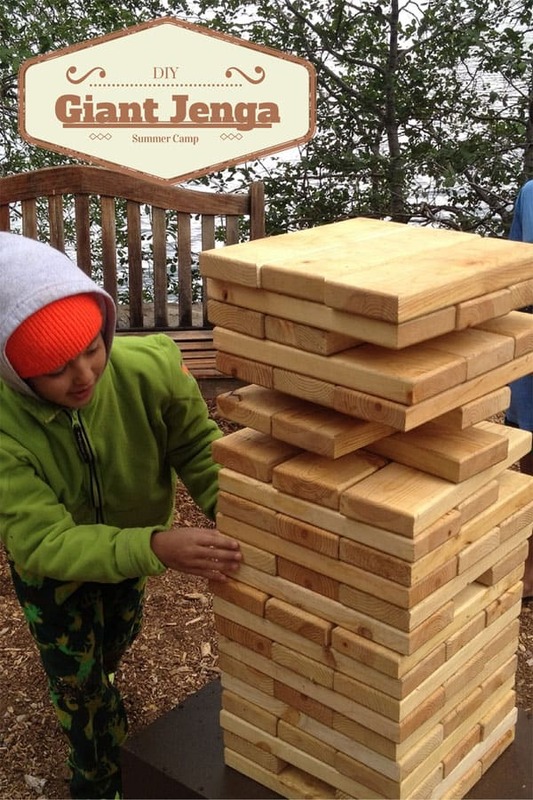 At Stanford Sierra Camp this Summer we noticed one of the most popular games was Giant Jenga. The kids and adults all loved it and the sheer enormity of it led to very dramatic endings. The stakes were high as the loser had to jump in the lake but it was always a good time. 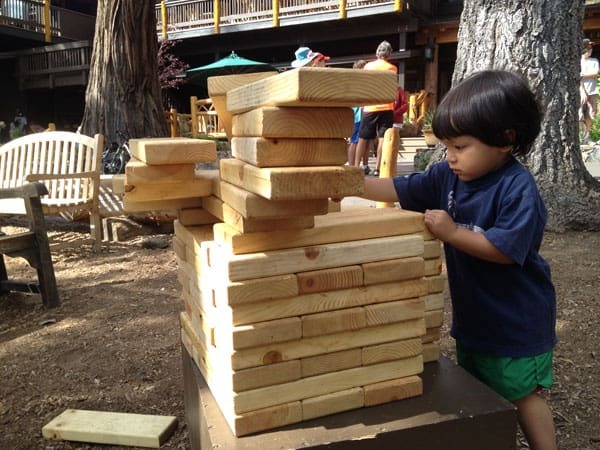 You can build this Giant Jenga game at home using a variety of wood sizes but we prefer the dimensions shown here using 2×6 instead of 2×4 boards. 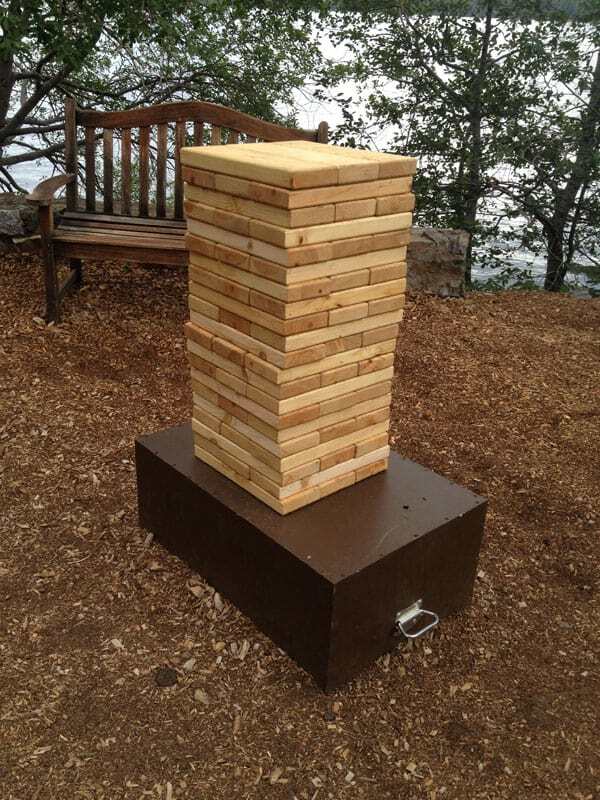 We’d paint the ends of them to jazz them up or simply leave them unfinished and stain them for a natural look similar to a real Jenga game. We’d recommend against painting the entire pieces as that may cause them to stick. You’ll need 54 pieces of 2×6 boards cut to 15 3/4″. Douglas Fir or any other type of wood works but stay away from pre-treated lumber as these will all be handled by hand. After cutting the boards make sure to sand all of the ends and edges so they slide easily and if you’d like to get even fancier, use a router and cut a slight bevel around the edges which makes them more enjoyable to handle. 2×4 wood boards are more plentiful and it’s possible you have enough laying around your woodshop to build a giant jenga game already. That’s what we did. 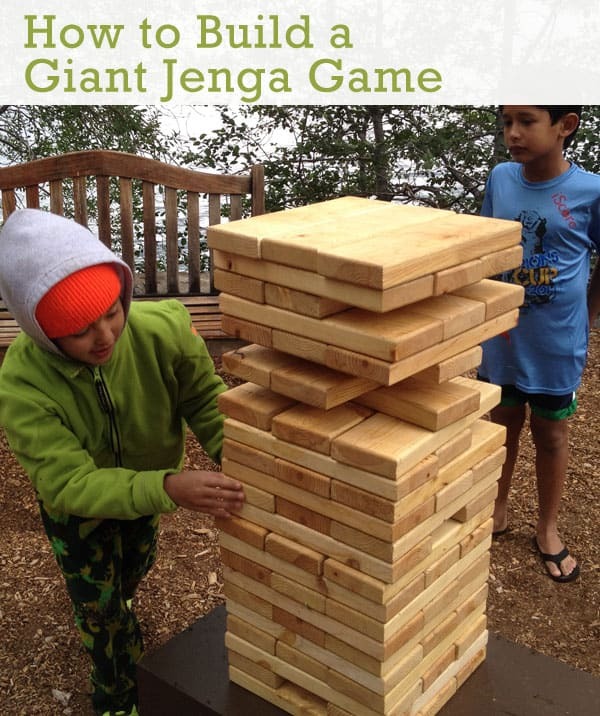 When you are done playing this game also makes for a great giant block playset!